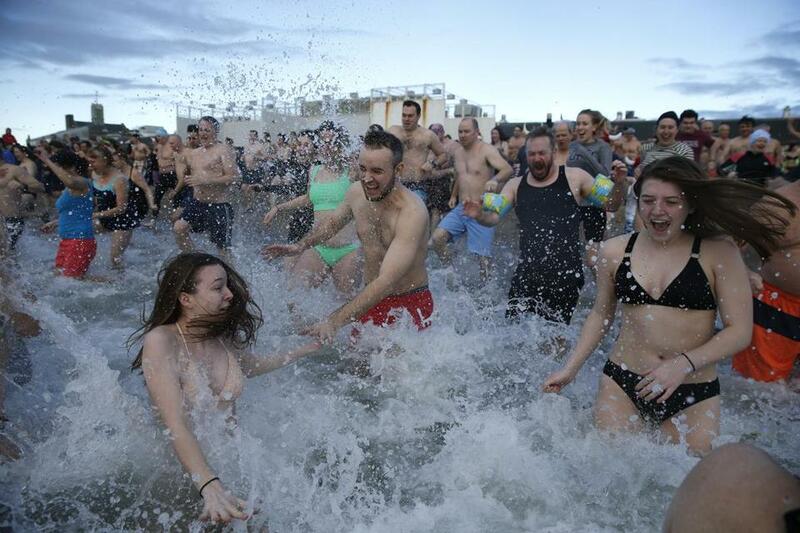 People run into the water during the L Street Brownies’ annual new year polar plunge. 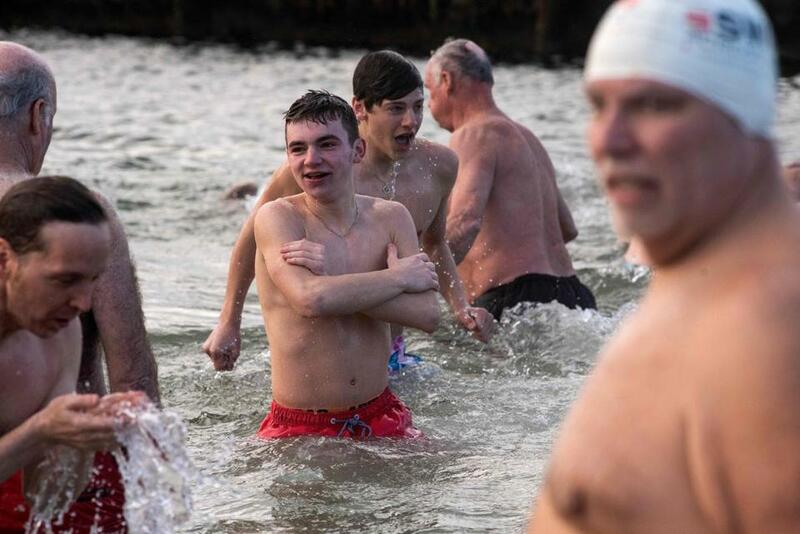 With temperatures in the 50s in Boston on Tuesday morning, the L Street Brownies held their annual new year’s swim — one of the country’s oldest and most popular — at 9 a.m. near the Curley Community Center in South Boston. 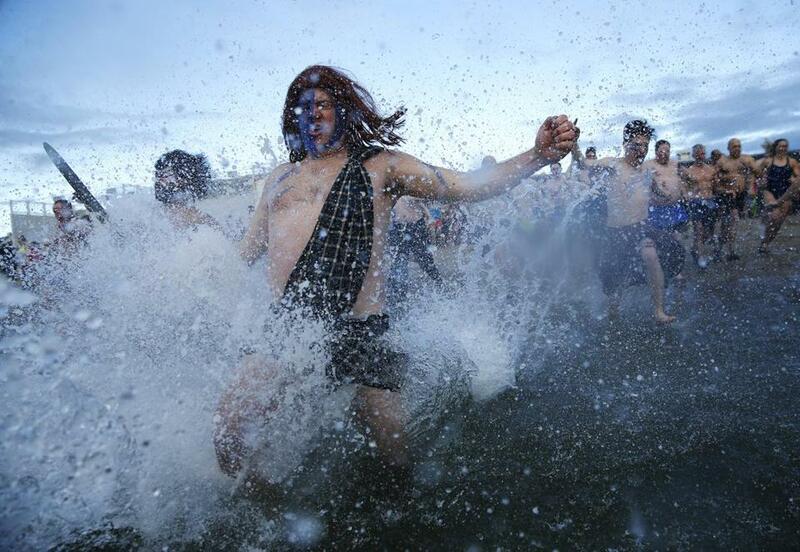 They estimated 600 people would attend. 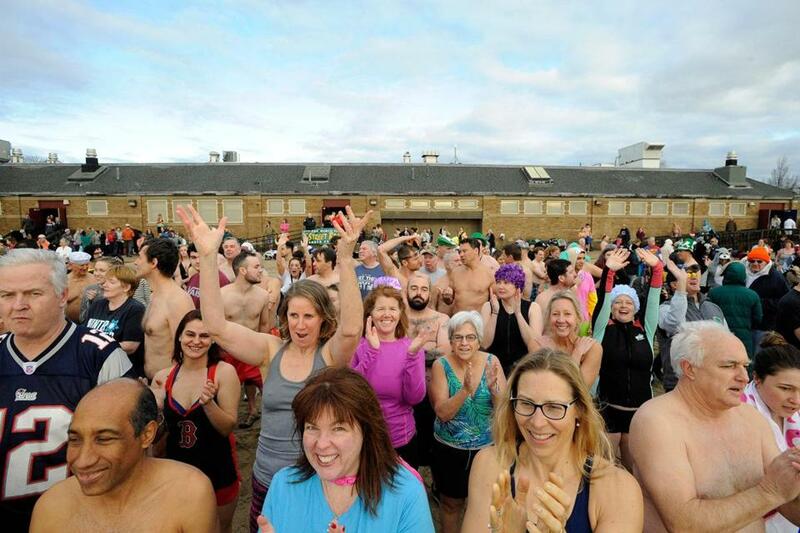 Hundreds charged into the water by the Curley Community Center Tuesday just after 9 a.m., continuing a tradition that has spanned more than a century. 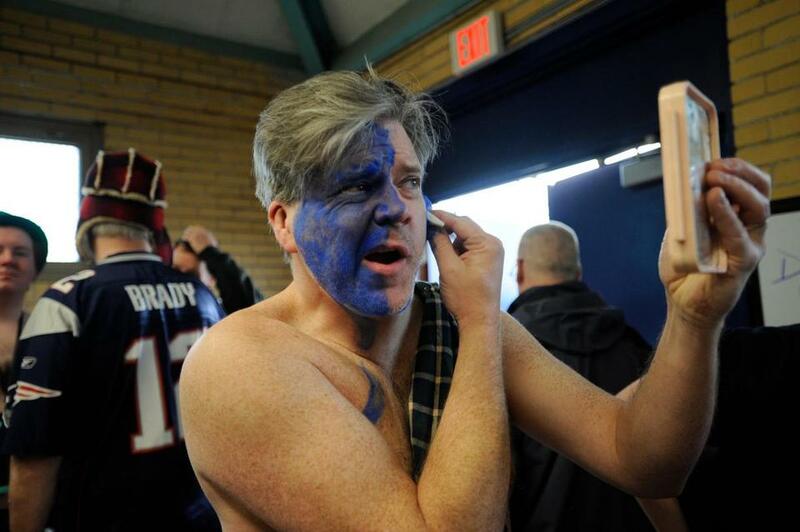 Mark Poutenis applied makeup before the annual plunge. 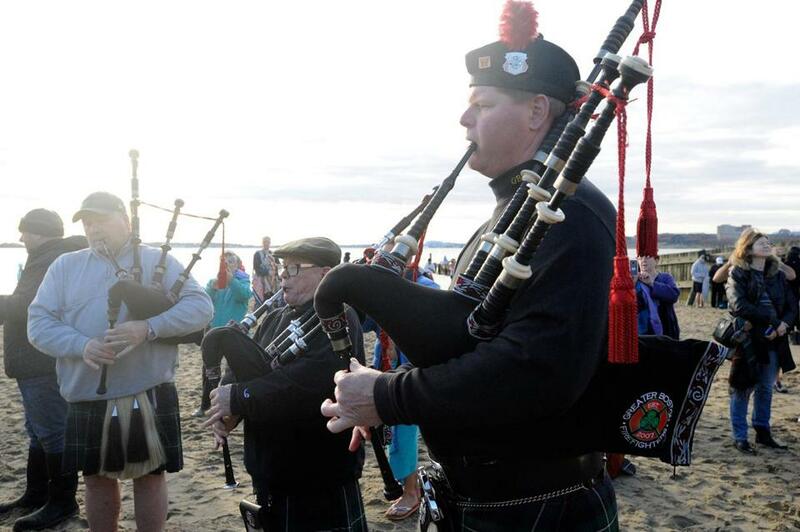 Brion Bickerton waited for the 9 a.m. line up. 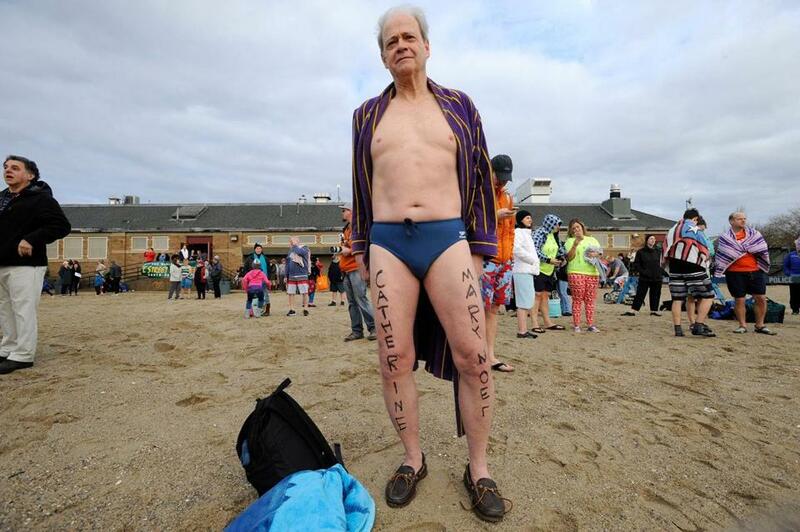 This was his fifth year taking part in honor of his late wife. 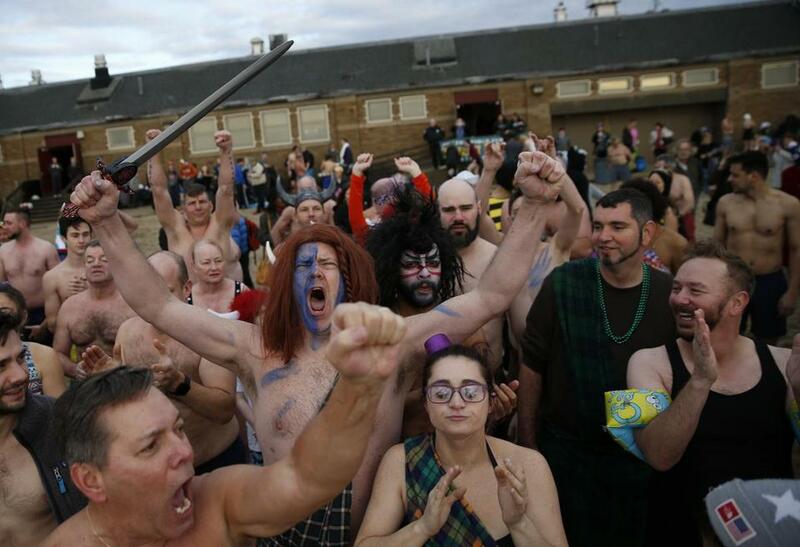 Participants cheered as they waited for the start of the plunge. 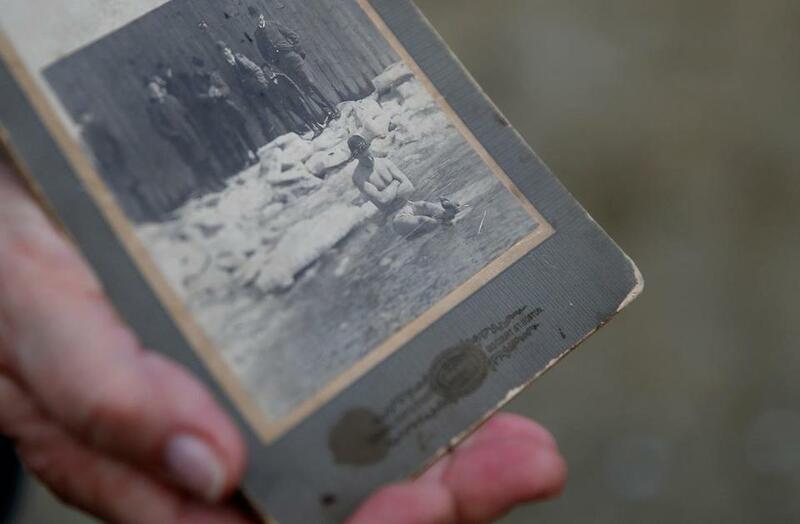 This 1904 photograph of Richard Boland inspired his grandson, Richard Evans, of Hampton, N.H., to take the same plunge Tuesday. 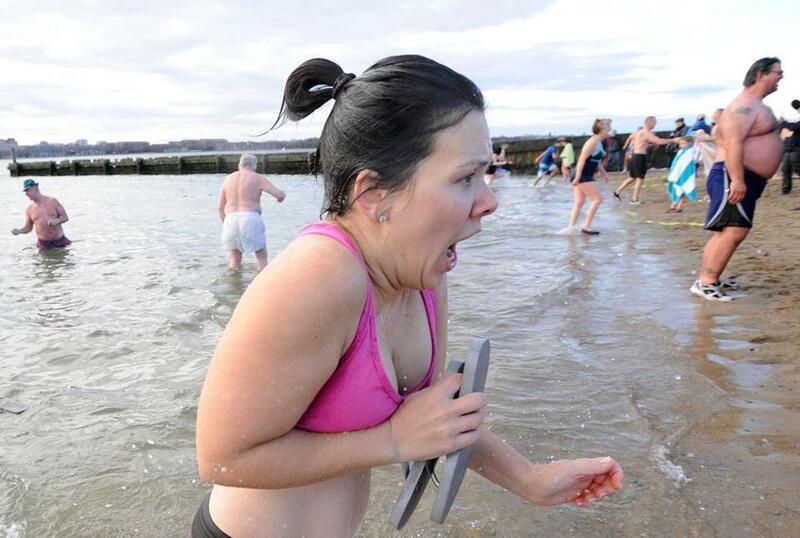 Monique Levenson tested the water temperature with a splash on her face. 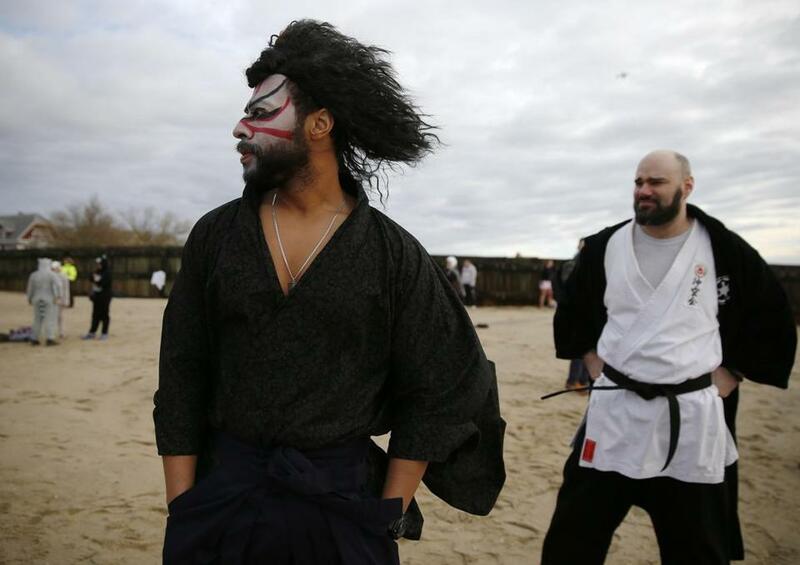 Matthew Woods of Quincy (left) and Evan Dumas of Norton waited for the start of the event. 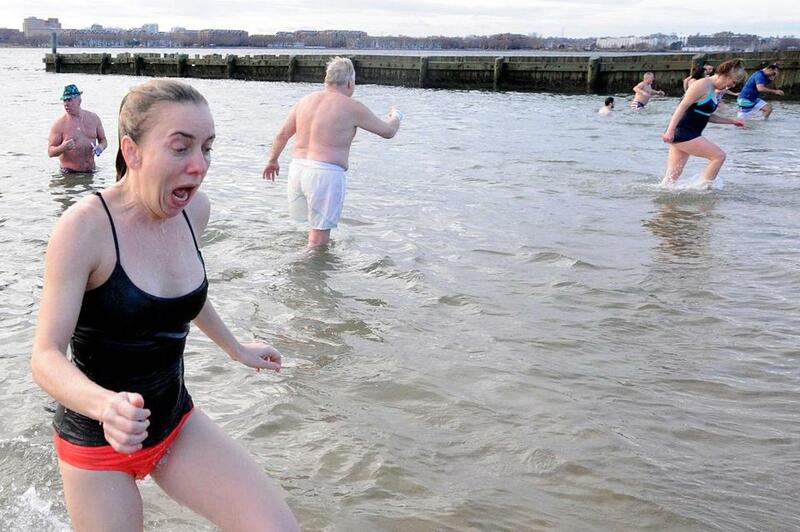 Swimmers lined up and started to prepare themselves for the swim. 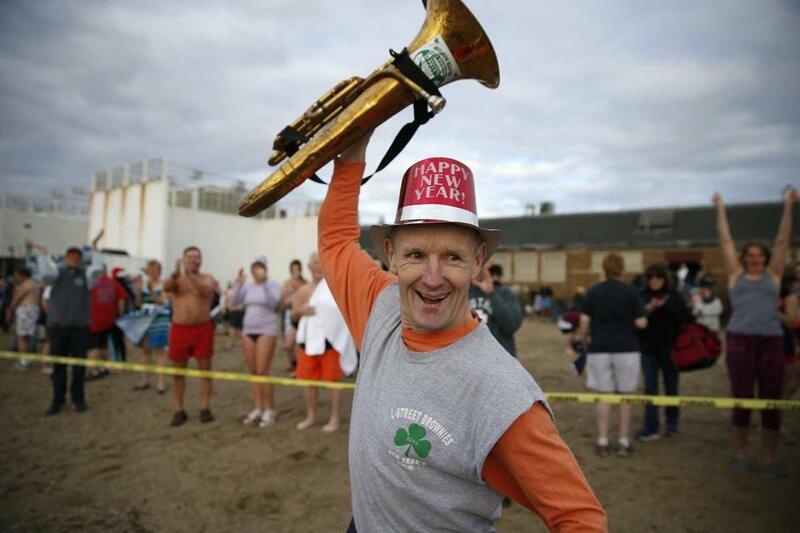 Tom McCauliffe of South Boston raised his horn before the start of the plunge. 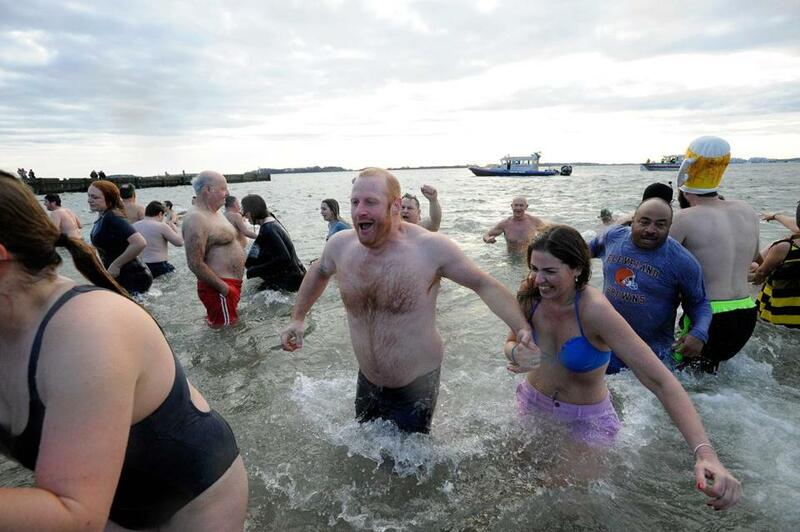 Mark Potenis of Lunenburg (center) led the crowd in cheers before running into the water. 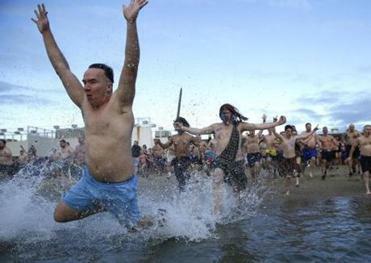 People ran into the water. 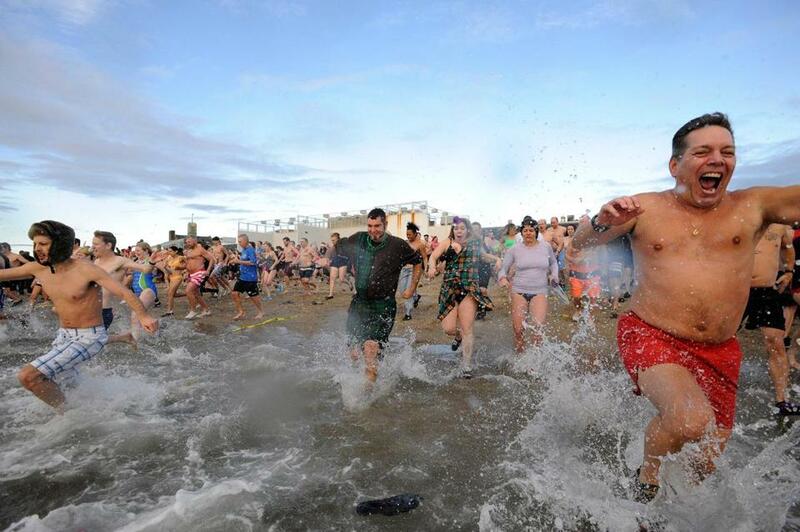 Mark Potenis of Lunenburg ran into the water. 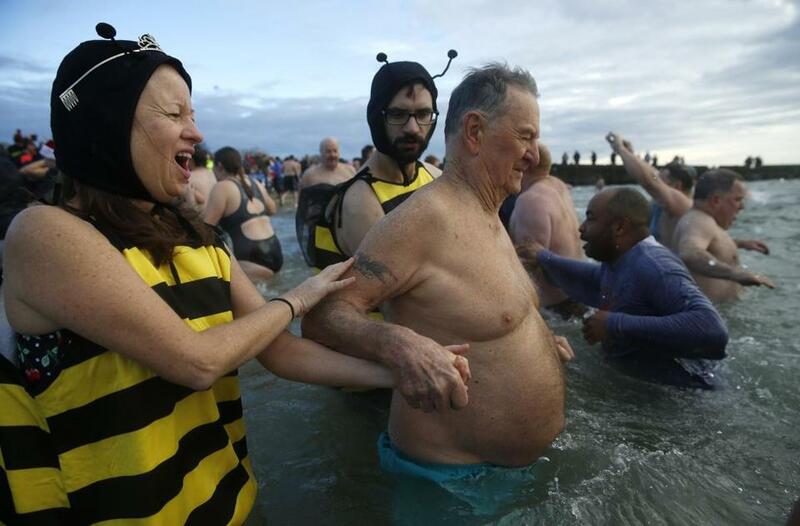 Some people were adorned in costume for the plunge. 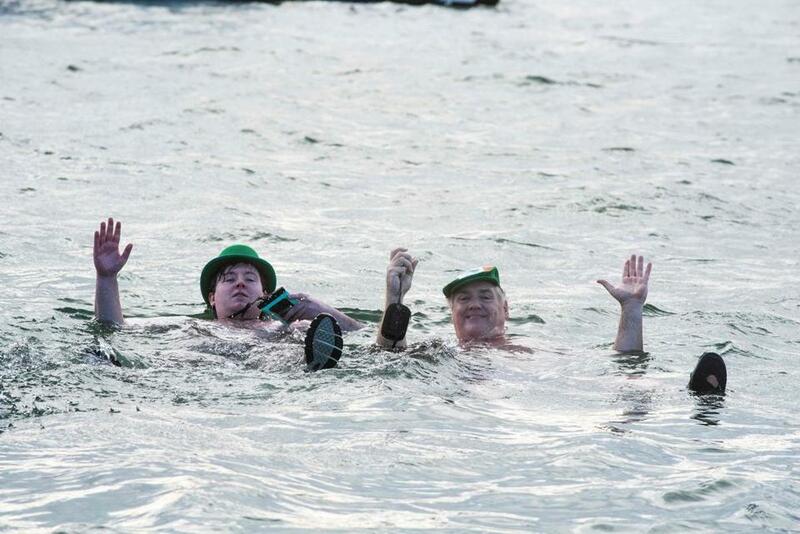 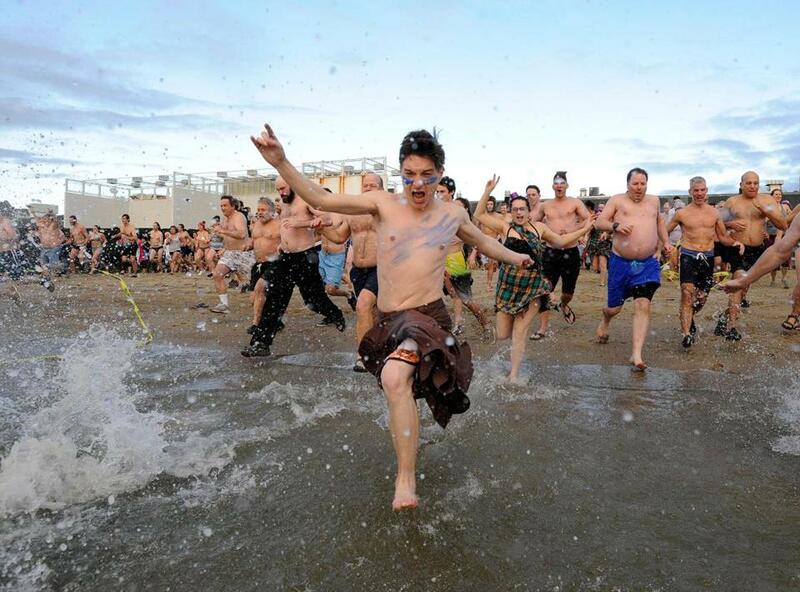 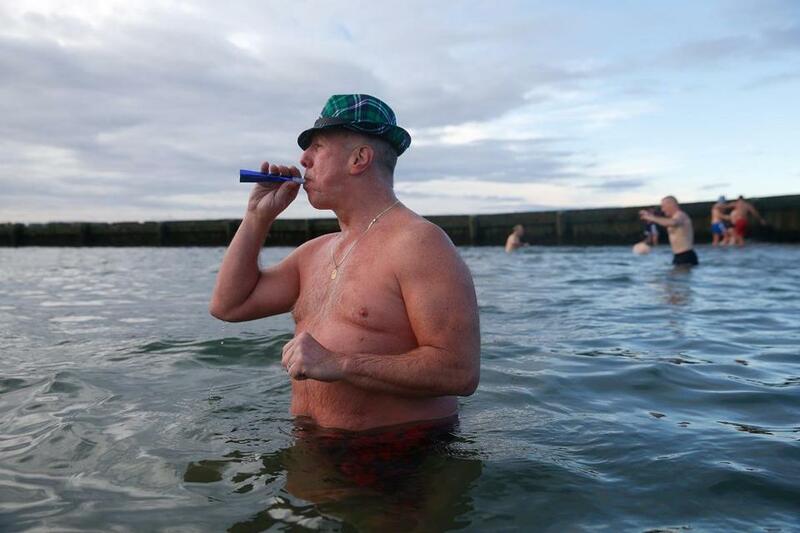 Peter Regan celebrated the New Year during the polar plunge. 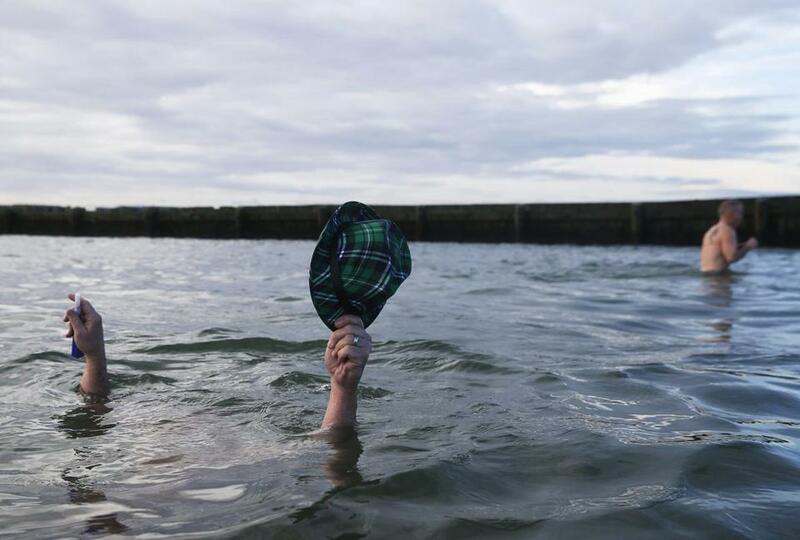 Peter Regan held up his hat to keep it dry as he submerged his head. 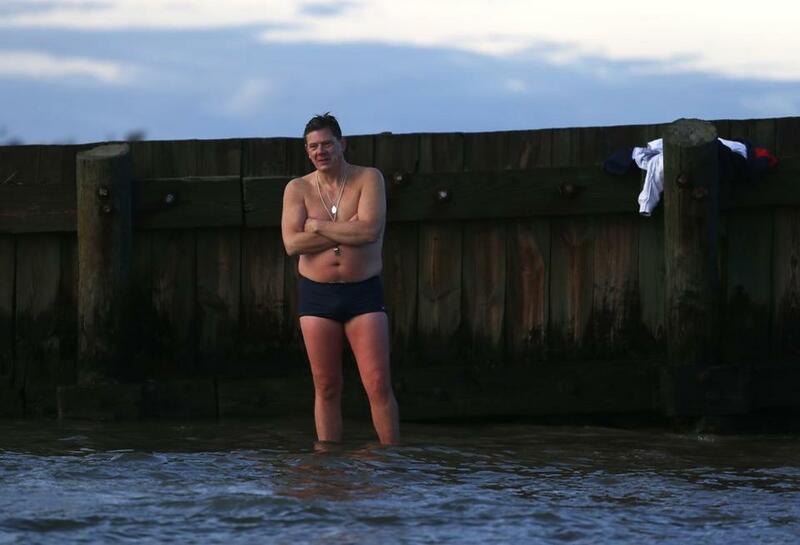 A swimmer stood in the water. 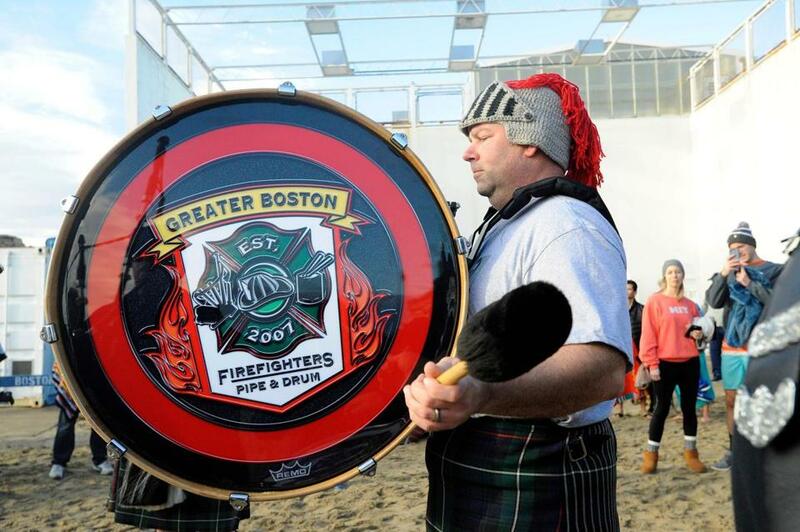 Members of the Greater Boston Firefighters Pipe and Drum Corps play music at the end of the plunge.